It all started in 1925 with the creation of the Embry-Riddle Company at Lunken Airport in Cincinnati, Ohio. Then, the following spring, the company opened the Embry-Riddle School of Aviation. What began as a simple plan to train airline pilots evolved into a trusted university in 1970. Today, the Embry-Riddle Worldwide Campus operates a globally recognized learning system that leverages online and face-to-face instruction and a network of education facilities designed to support student advancement in the U.S., around the world and now in Singapore. 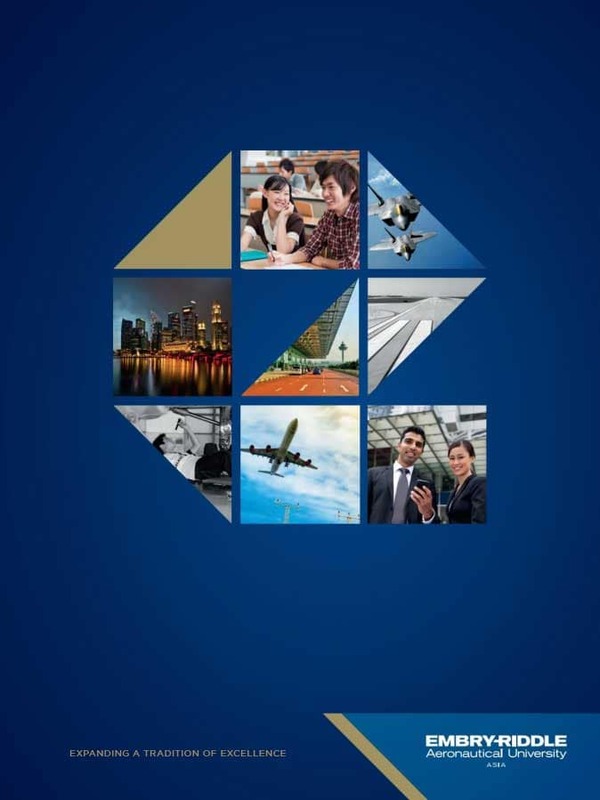 Embry-Riddle Aeronautical University offers degree programs through partnerships in Singapore. In association with the Singapore Aviation Academy (SAA) Embry-Riddle offers part-time, blended delivery graduate programs specifically for working professionals. Our newest partnership with ERC Institute enables Embry-Riddle to offer part-time and full-time undergraduate degrees to students looking to earn their bachelor’s degree both while working or before entering the workforce. The partnership with ERC Institute also enable Embry-Riddle to bring international students from the surrounding region to Singapore to earn a degree. Backed by the prestige of Embry-Riddle Aeronautical University, the world's oldest and largest university specializing in aviation and aerospace, our partnerships in Singapore provide students with the same quality education you would get at one of our campuses overseas. From academic support and student services to human resources and finance, Embry-Riddle Aeronautical University has a team of dedicated professionals ensuring that students in Asia receive the quality education that Embry-Riddle Aeronautical University is known for. Embry-Riddle employs world-class faculty educators with hands-on industry experience. They know what employers seek, apply learning to real-world scenarios and help you tap into your abilities. Through regional educational partnerships, Embry-Riddle Aeronautical University gives students in Singapore and the region the chance to be a part of the Embry-Riddle legacy. Learn more about these partnerships. The Industry Advisory Board provides guidance to Embry-Riddle Aeronautical University on course content and programs in Asia so that they are relevant to current industry needs. Read about Embry-Riddle Aeronautical University’s accreditation and our recognition in Asia.